Follow Jim and Lisa Favors as they cruise in their Ranger Tugs and live in a snowboaters paradise. It’s no secret that as soon as it gets cold up north, Florida gets busy. Excluding tourists on vacation, nearly one million temporary residents flock to Florida in winter and then leave in the spring. These winter residents are commonly referred to as “snowbirds.”And because there’s no better way to enjoy Florida than by boat, many of them are snowboaters too. Michigan-based Jim and Lisa Favors discovered a unique way to enjoy their retirement, including winter snowboaters adventures in Florida. They got a taste of southern waters when they completed the Great Loop on a 42-foot powerboat. They’ve found their way back year after year. They traded in their 42 for a trailerable trawler built by Ranger Tugs that completely changed the way they boat. 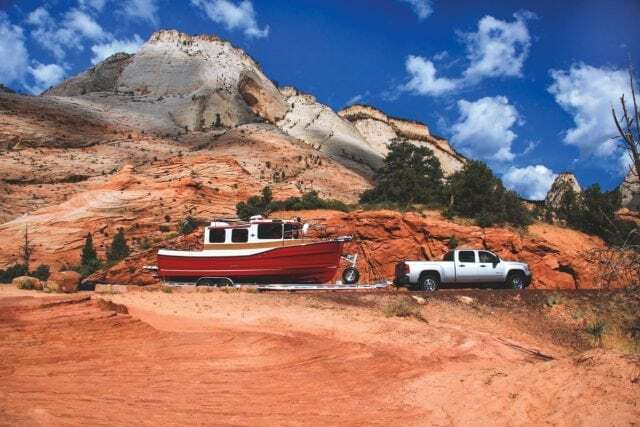 With the versatility of being able to trailer the boat on the highway, they could explore new and different boating areas. When they took delivery of their first Ranger Tugs, an R27 named Kismet, at the factory in Washington State so they took the first cruise around Puget Sound. With the boat back in saltwater on the Alabama/Florida border, they cruised their R27 along the panhandle, around both coasts of Florida and across Lake Okeechobee. After spending the winter in Florida, they packed their boat onto the trailer and headed to Michigan. Summer cruising in the Great Lakes can be spectacular with destinations such as Door County, Wisconsin and the Thousand Islands of Canada. Being able to transport the boat on the trailer allowed them to cruise vastly different areas depending on the season and where they wanted to go next. After the Favors cruised areas that take many a lifetime to accomplish—the Great Loop, Canada, Key West, the Pacific, Atlantic, and the Gulf of Mexico—“two-foot-itis” set in and a bigger boat beckoned. Jim and Lisa commissioned a new Ranger Tugs R29S in 2017 and like the original Kismet, the R29 is trailerable and provides the flexibility they relish, but delivers more power, better accommodations and fresh modern styling. “The Volvo Penta D4 300 engine works with authority,” says Favor. They took delivery of their new boat at the factory outside of Seattle and, once again, cruised the Puget Sound, The San Juan Islands, and into Canada. A stop in September at the Ranger Tugs and Cutwater Boats rendezvous in Roche Harbor, Washington, brought them together with 400 fellow boaters, and their new boat shined among the 150- plus Ranger Tugs. This past winter, the Favors dropped their boat in the water at Legacy Harbor in Ft. Myers, Florida, and stored their truck and trailer. The snowboaters like this marina because it’s an easy walk into town and there are lots of activities. 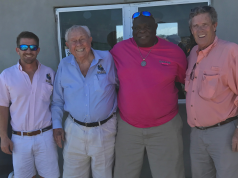 They’ve made friends from all over the country, and in Florida, they often cross paths with fellow boaters. Additionally, the Favors balance time between marinas with friends and enjoy shoreside amenities as well as quieter, remote anchorages and parks. That’s where they can be alone on their boat to appreciate nature’s beauty. Their first Florida excursion on the new boat was to Punta Gorda for a Ranger/Cutwater rendezvous. Thirty other boats like theirs joined the festivites. At the rendezvous, fellow snowboaters gathered with native Floridians to enjoy the sunshine and boating. Some live on their boats and others have condos or houses and use their boats for excursions. After showing off their new boat at the rendezvous, the Favors headed for more peaceful surroundings. Cayo Costa State Park, a barrier island near Sanibel, is a great place to explore, hike and enjoy windswept beaches. Another spot the Favors enjoy is Lover’s Key, where there is a long sandy beach to play on. The anchorage provides views of spectacular sunsets over the gulf. “Fold-up bench seats and the flip-fold transom seating provide comfortable seating for eight,” says Favor. “With a removable cockpit table or with the table stowed, there is room for four to dance!” But come evening, everyone clears out and tranquil nights are spent alone. Cruising south past Naples and Marco Island, they worked their way along the edge of Everglades National Park. Sometimes they would venture in the park, and other times staying outside the boundary, dodging crab pots. Anchored in the solitude of the Everglades, they shared a night in the mangroves with resident alligators and mosquitos under the magnificent starlight before continuing to Marathon. 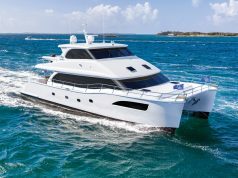 The Florida Keys provide boaters a variety of cruising options ranging from pristine parks and secluded islands to raucous parties on the streets of Key West. The Favors like Blackfin Marina in Marathon as it is centrally located, well protected and affordable. There, they met up with various friends and cruised up and down the Keys. From Florida Bay, they went to Key West with stops in Pine Key, Jewfish Basin, and Key West Bite. The shallow draft of the R29S, its keel with grounding shoe and protected prop aperture all translate to a boat that can enter waters that other boats can’t safely navigate. When Jim wanted to do some waterline cleaning, he simply found a calm sandy beach on a key and nearly beached the boat, then stepped into the water to tidy up the hull sides. North of Marathon, the Favors found other great spots, such as Elliot Key and Boca Chita. These islands are part of Biscayne Bay National Park, so their proximity to Miami via fast boat means during the day, there can be a lot of picnicking and partying. In the evening, it calms down when only the cruisers are left. The decorative 65-foot lighthouse at the entrance to Boca Chita harbor was built in the 1930s by the Honeywell family who owned the island and used it for entertaining friends. There’s also a cannon and other artifacts along with a picnic shelter and trails. 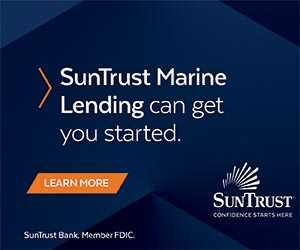 There are so many places to explore in Florida that the Favors and many others keep returning to enjoy the warm sunshine, reconnect with friends and have new adventures. Now that it’s spring and the rest of the country is warming up, the snowboaters put their boats back on the trailer and head north to summer cruising grounds. The Favors are planning a rendezvous this summer in the Trent-Severn waterway on Lake Ontario. If the heat in Florida is too much, a trailerable cruiser is a way to escape to Canada, Maine or wherever a highway leads. Follow the Favors and their snowboaters adventures at trailertrawlerlife.com. 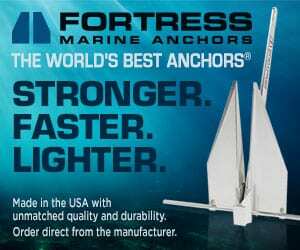 Anchoring or mooring is more affordable. 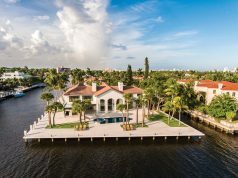 Staying in smaller, family-owned marinas as opposed to fancier marinas with a lot of amenities saves money. If you plan meals and make them yourself on board, your cruising dollars go further. How often you eat ashore and the types of restaurants you choose determines how much you spend. Performance will vary depending on the size and type of vessel you cruise, but slowing down saves fuel. The Ranger Tugs R29S has a top speed around 20 mph. But, the Favors typically cruise around 9 mph and get a little over 2 mpg. They also don’t run the generator overnight which saves fuel. Next articleSportfish or Center Console?